It appears that the trial of a new speed camera has met with great success. 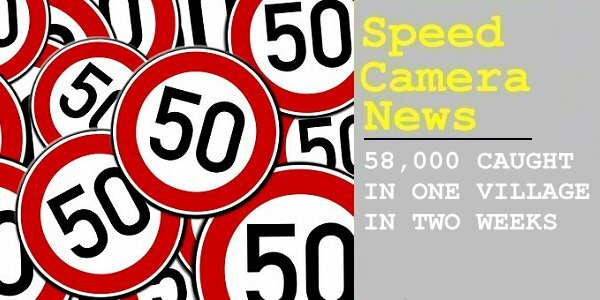 In just two weeks, the device captured a whopping 58,000 vehicles exceeding the 50 kmh speed limit. The mayor of Acquetico, a small Italian village near the French border, decided to get the devices installed in response to worries expressed by residents. He said to Italy's Ansa news agency: "It is really madness, considering that we have inhabitants who regularly move within the village and cross the road". I have driven in Italy twice. When leaving Pisa, as I was approaching the roundabout to join the next road, I was road raged (hooted and harrassed by tailgating) by somebody who thought I needed to be going faster. As soon as I came out of the roundabout I was overtaken with a screech of tyres and roar of exhaust with the driver gesticulating angrily. She almost immediately pulled into a service station a hundred yards up the road! I had already suffered abuse from somebody's mother/sister/daughter when harrassed down a narrow road in Pisa town, as we were cruising along trying to find the leaning tower. I haven't been back to Italy since.